The American soprano Amanda Forsythe, highly praised for her performances on both sides of the Atlantic, sang Euridice on the recording of Charpentier’s La descente d'Orphée aux enfers with the Boston Early Music Festival which won the 2015 GRAMMY AWARD for Best Opera Recording. Her highly acclaimed CDs have included her début solo album of Handel arias "The Power of Love" with Apollo’s Fire on the Avie label. She recently toured with the outstanding French countertenor Philippe Jaroussky, performing works based on the Orfeo myth, and subsequently recorded the role of Euridice in a new edition of Gluck’s Orfeo for the ERATO label. Equally at home on the concert platform and on the opera stage, in recent seasons Amanda Forsythe’s major engagements have included Mendelssohn’s A Midsummer Night’s Dream with the Boston Symphony under Andris Nelsons and the Los Angeles Philharmonic under Susanna Mälkki, Handel’s Sileti venti and Laudate pueri with the Chicago Symphony Orchestra under Nicholas Kraemer, Messiah with Seattle Symphony, Bach's Magnificat and concert performances as Marzelline Fidelio with the Accademia Nazionale di Santa Cecilia under Sir Antonio Pappano. Following performances as Amour in Gluck’s Orphée at London’s Royal Opera House, she participated in tours of this work, and of Mozart's C Minor Mass and Requiem with the Monteverdi Choir and Orchestra under Sir John Eliot Gardiner. She is a regular soloist with the highly acclaimed baroque ensembles Philharmonia Baroque Orchestra (PBO), Apollo’s Fire, Handel and Haydn Society, Boston Baroque, Pacific Musicworks, the Boston Early Music Festival, and the Monteverdi Choir and Orchestra. She sang the title role of Teseo with PBO at the Tanglewood and Mostly Mozart Festivals under Nicholas McGegan, and made her début at the Oregon Bach Festival in Bach’s Mass in B Minor and Magnificat under Matthew Halls. 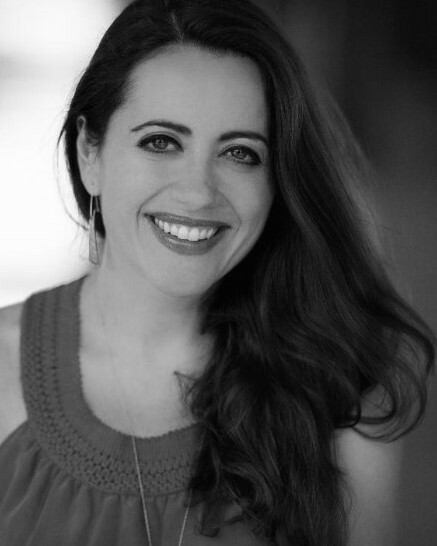 Ms. Forsythe made her USA stage début with the Boston Early Music Festival, where her many roles have included Poppea and Drusilla in L’incoronazione di Poppea, Niobe and Manto (recording) in Steffani's Niobe, Regina di Tebe, Aglaure in Psyché (Lully), Venus in Venus and Adonis (John Blow), Pallas in The Judgment of Paris (Eccles), Isabelle in Le Carnaval de Venise (Campra), Serpina in La serva padrona and Edilia in Almira. Having made her début at Seattle Opera as Iris in Semele, Ms. Forsythe recently returned there to sing Pamina in Die Zauberflöte. Her operatic repertoire also includes Poppea in Agrippina, the title role in Partenope, Dorinda in Orlando, Amenaide in Tancredi, Bastienne in Bastien und Bastienne, Ninfa/Proserpina in Orfeo, Amore in Il ritorno d’Ulisse in patria, Oberto in Alcina, Dafne in Apollo e Dafne, Atalanta in Xerxes, Vagaus in Juditha Triumphans, and roles in Les Indes Galantes and The Fairy Queen. She made her European operatic début in the role of Corinna in Il viaggio a Reims at the Rossini Opera Festival in Pesaro, subsequently returning to perform Rosalia in L’equivoco stravagante, and Jemmy in Guillaume Tell. At her invitation, Amanda Forsythe joined the distinguished American mezzo soprano Joyce di Donato in a performance of Bellini duets in the festival’s "Malibran" recital. Major European opera house engagements have included Dalinda in Ariodante in Geneva and Munich and Barbarina in Le nozze di Figaro, and Nannetta in Falstaff at London’s Royal Opera House.